to the time of your life. 'Fore-day' - the Bajan name for J'ouvert, is a large street party during Barbados' annual Carnival known as 'Crop Over'. J'ouvert is a contraction of the French jour ouvert, or day break, and is celebrated in the early hours of the morning through sunrise. The celebration involves Carnival bands and their followers dancing through the streets of Bridgetown. The procession, covered in paint and mud, makes its way along the route to the sounds of iron, tuk, steel pan and pulsating soca music. 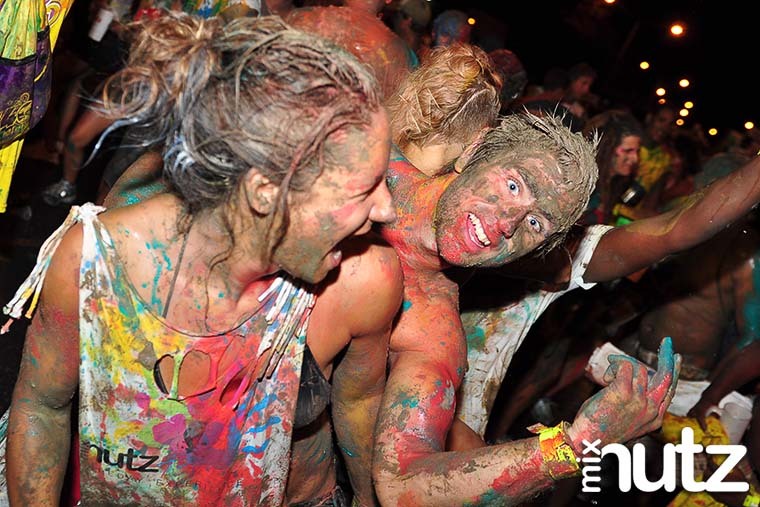 Established in 2012, Mix Nutz is a Barbados based J'ouvert band created by a group of fun loving friends who pursued the opportunity to extend this street party to a wider mix of people in Barbados. The Mas' we present is traditional Trinidadian J'ouvert with a Bajan twist, in a safe and intimate environment of friends. Mix Nutz exploded on to the scene in our inaugural year and we established ourselves as one of the freshest, most exciting Foreday Morning productions for Crop Over. Joining our band is done exclusively through our committee members; registration opens at the end of May and runs for a limited time. Keep posted to this site and sign-up for our e-mail updates for details on how you can join us this year. Come out and have the time of your life. An explosion of colour, music and revelry. We are professionals, entrepreneurs and party animals. Industrial equipment specialist; responsible for procurement and infrastructure. Technology and finance geek, MBA; responsible for band registration and marketing. International events manager; responsible for entertainment and budgeting. Graphic artist and sign master; responsible for sponsorship and security. Shipping guru and team chef; responsible for infrastructure and entertainment. Environmental engineer and water specialist; responsible for budgeting and infrastructure. Live, laugh and party like there's no tomorrow. We are committed to providing an unsurpassed experience and level of fun for our members on the road. Vibes cyah done! We are committed to the wellbeing of our members, through providing a safe and secure environment on the road. 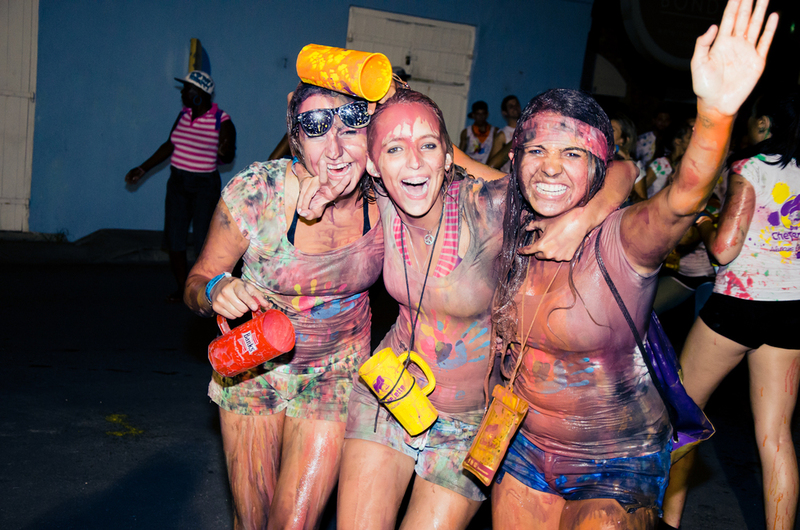 We are committed to making your j'ouvert experience as smooth and simple as possible, from sun up til' we dun up. Turning nice people dirty, since 2012.